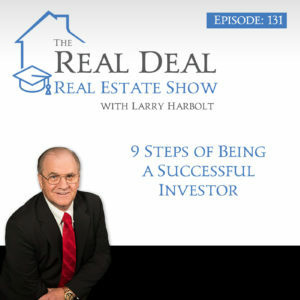 People are always asking “what are the steps to be a successful investor?” Well, the good news is there are 9 steps that you can take to accomplish exactly that. One of the biggest lessons you can learn is that procedures are critical to your success. If you follow the procedure, you will find success. You have to find deals that others aren’t seeing. Everyone looks in the Multiple Listing Service, but the deals you can find there are all the leftover properties that really successful investors have passed up. Rental property opportunities in the price range where the majority of the people living in the area could afford is what you should be looking for and you have to do your research beforehand. Find out everything you can about the owner and the property before approaching them and before you sign anything, make sure you can bring in a contractor that can assess how much the repair costs will be. You will need that information to negotiate with the seller. You have to figure out the highest and best use of that property. Talk to different property managers in that area what that property should rent for. Those numbers will determine what you will be able to pay for that property. Once you’ve done that, you can look on MLS for similar properties to understand what the price range for the property is. Next step is to run your formulas, there are 8 formulas that you must use to figure out what you can offer for a property. Then look at other houses in the area and take pictures of the features of those houses. You can make your prospective property more enticing to renters by adding some nice features that make the home stand out. Once you’ve done your research, you should ask the seller what they really want. There are a number of ways to make an offer that allows everyone in the deal to feel like they’ve won. When you get the purchase agreement signed, it’s time to close the deal. However you are going to finance the deal have it lined up before you even make the offer. Make a copy of your purchase agreement and take it to your title company, then make sure that the closing is progressing. Contact them every few days and stay on top of them. Finally, never stop building your cash buyers list and never stop marketing. If you are buying property to wholesale, you need cash buyers. Never stop looking for opportunities and always make an offer on every property you look at. Don't miss an episode - receive notifications of new episodes plus great real estate education tips along the way!